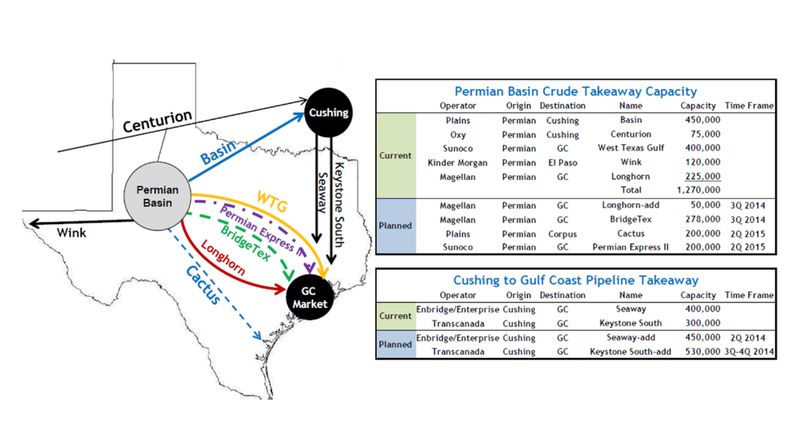 Below, a map of the main pipelines in the Permian Basin via a Credit Suisse research team led by Jan Stuart. Solid lines indicate existing pipelines, while dotted ones represent those that are under construction. And, we should note, the map is not to scale.